my original blog post is here. and smelling fresh like lemons. Mix all ingredients together and store in a container. 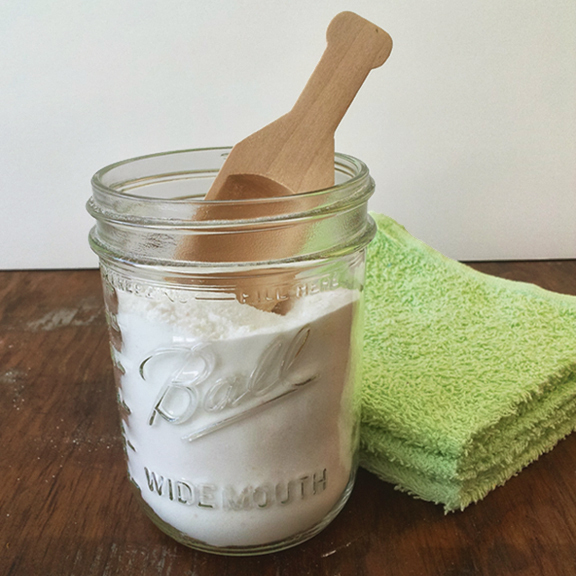 To use: Place 1 Tablespoon in the main wash compartment. please consider becoming a follower of my blog. Thank you so much for sharing. I found you at the Funky Polkadot Giraffe link party. I have been looking everywhere for a recipe for dishwasher soap. What a great idea. Never thought to make my own. Love the lemon scent added too. It smells awesome, plus under my kitchen sink smells super good because the container that I store the dishwasher soap in is not air tight. Great Perk! 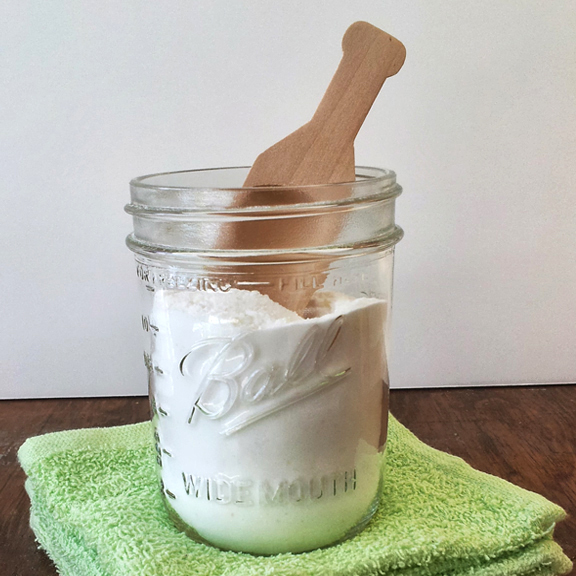 I recently started using home made laundry soap and I love it. I'll be trying your recipe next as soon as I use up the expensive dishwashing soap I already have. Thanks for the how tos! Hi! This looks like a recipe I would like to try. I am curious though, what benefit does the kool-aid add? I pinned this and plan to try it! I tried it and got the cloudy glassware. I put the lemon rinse recommended but it still was cloudy. I love the laundry detergent but not too thrilled with the dishwashing powder. i was going to ask the same where can i find citric acid? and do you have to use borax? i've read that alot of European countries have banned it do to possible side effects. have you heard anything about that and what are your thoughts on that? i've kinda wishy washy i mean how long did our ancestors use borax? so i was just wondering what other green cleaner people thot. i'm definitely trying it, as really even with the expensive brand AND jetdry i have cloudy dishes i think its because our water company does nothing to soften our water and its extremely hard and lots of calcium. any thots and opinions would be greatly appreciated! Oh, I am so sorry. Try using a additional package of Kool-Aid. That should do the trick, and eliminate the cloudiness. I tried making a version of this and it did not work well! haha! Maybe I should try this one!